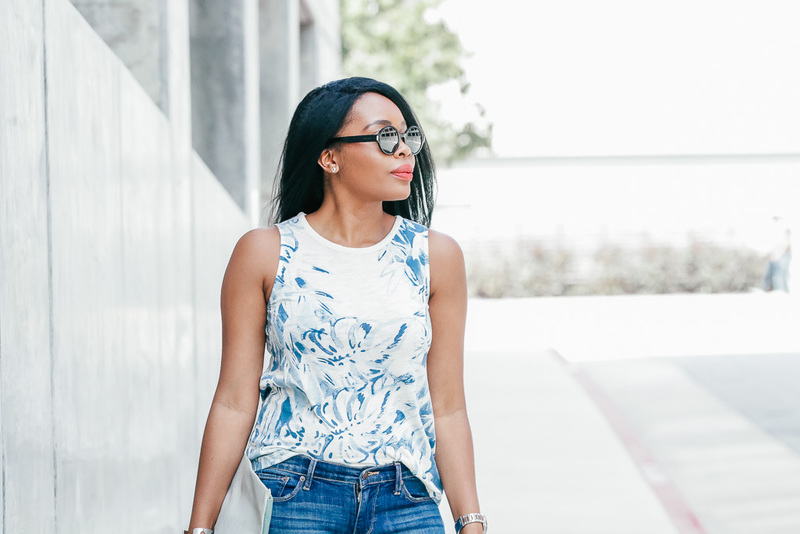 This post is in partnership with Macy's, a store that I love. All opinions are 100% my own. I'm a denim lover by all means. Second to dresses, I own so many pairs of denims, maybe too much. Yes, I'm guilty as charged. Hehe! 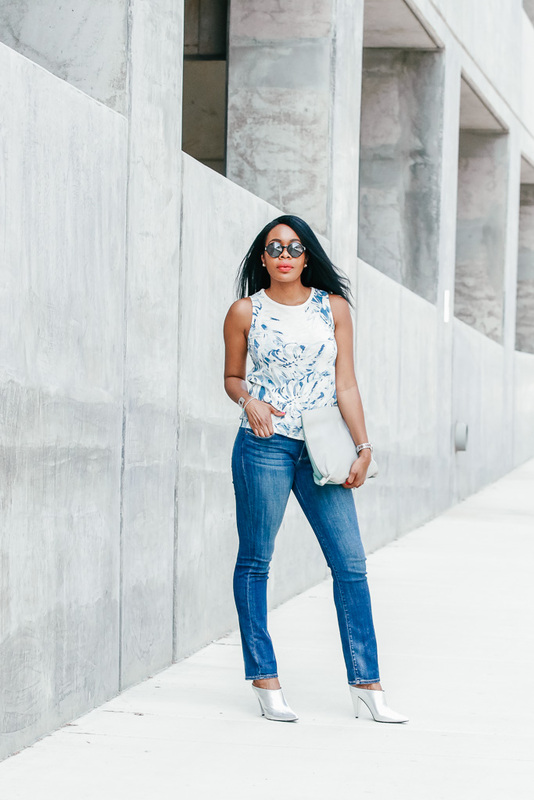 My friends always shy away from or complain about straight-leg denim and how hard they are to style for them. 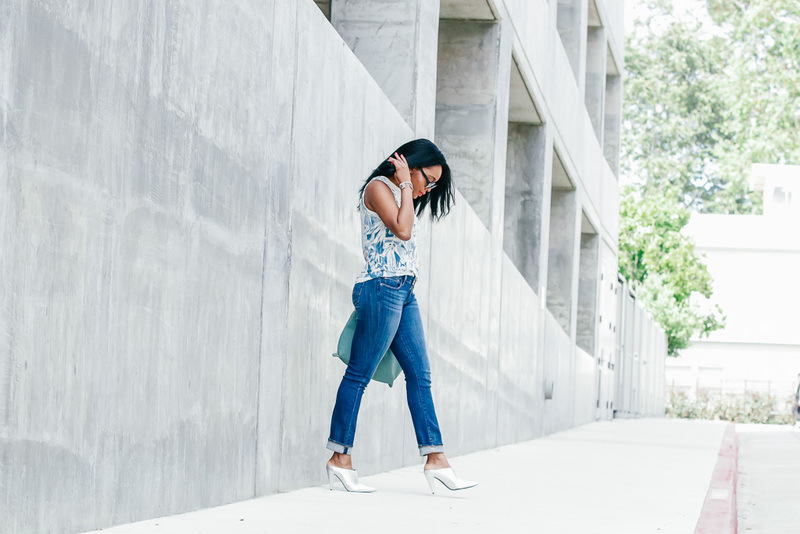 Ever since skinny jeans became a thing, straight-leg took a back seat and to be honest, it's not fair :). 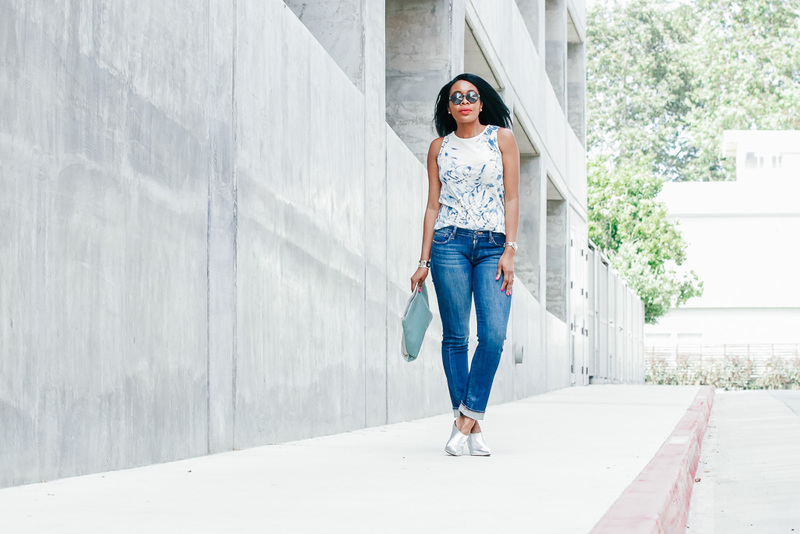 Straight-leg denim is and should be a classic pair of jeans in your closet. 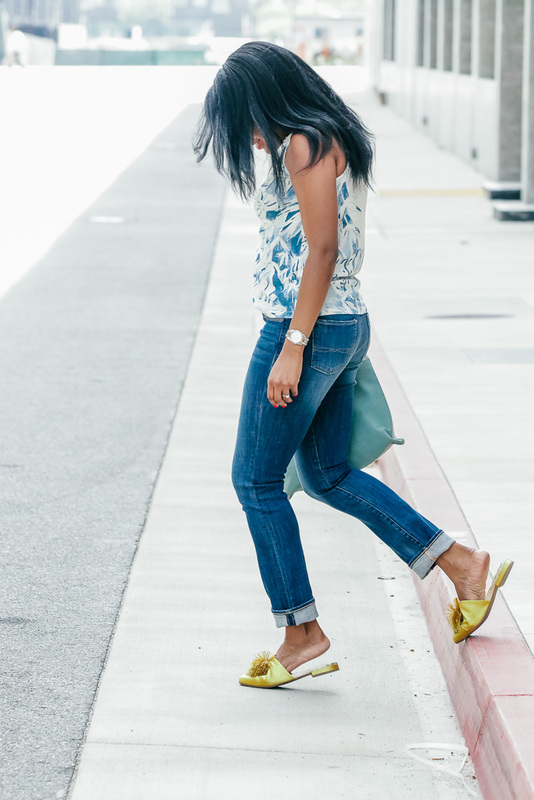 This one I am wearing is Lucky Brand Sweet 'N Straight-Leg jeans from Macy's. 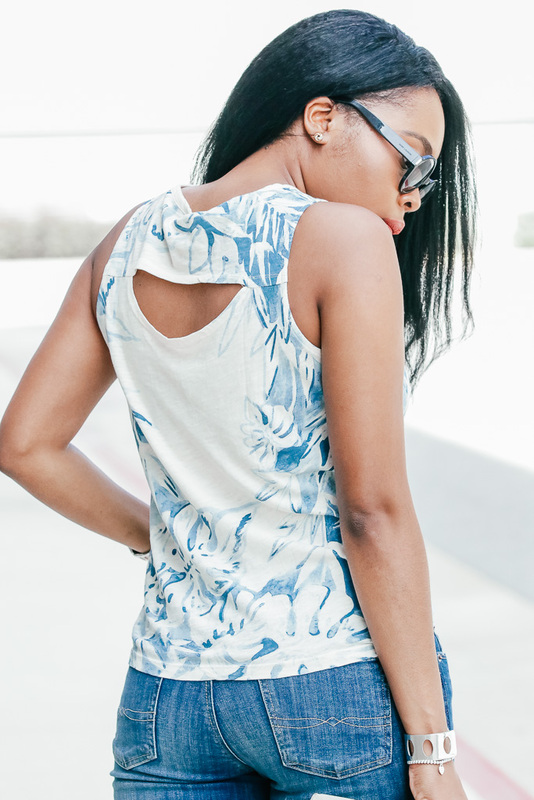 It's super comfortable, moves well, and the quality is immaculate. 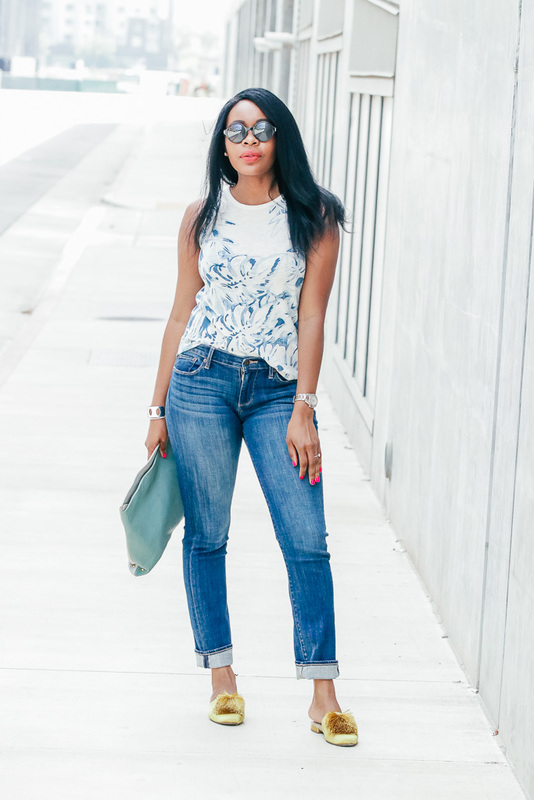 Because they are classic type of jeans, they are very easy to style. 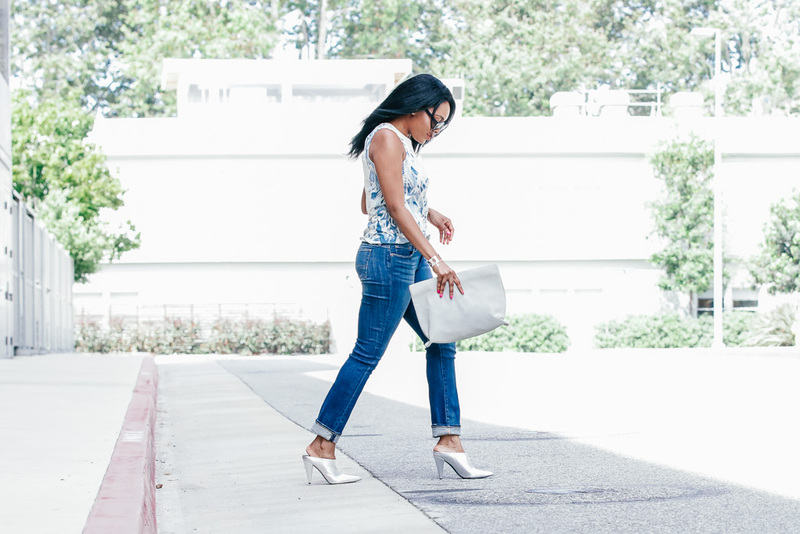 They can be dressed up or down, worn with casual or dressy tops, blazers or moto jackets. You see where I'm going here?! 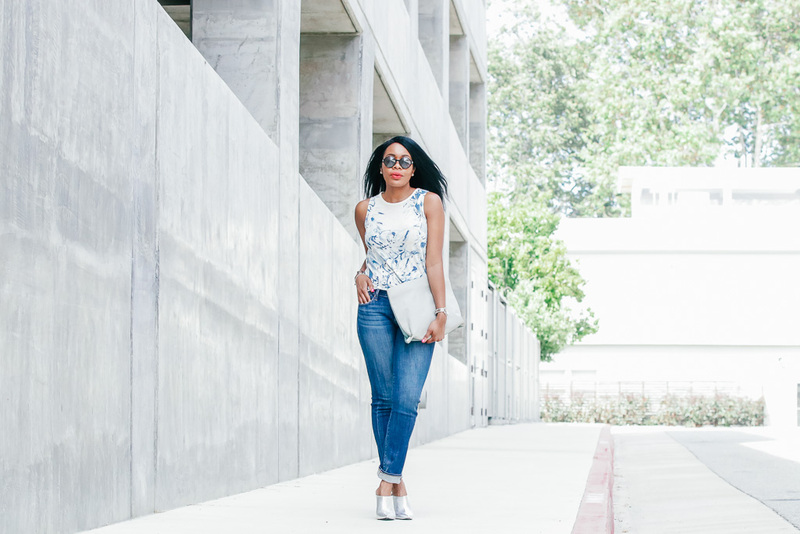 I paired my jeans with this Lucky Brand Floral Tank also from Macy's and bootie-mules and flat slides. 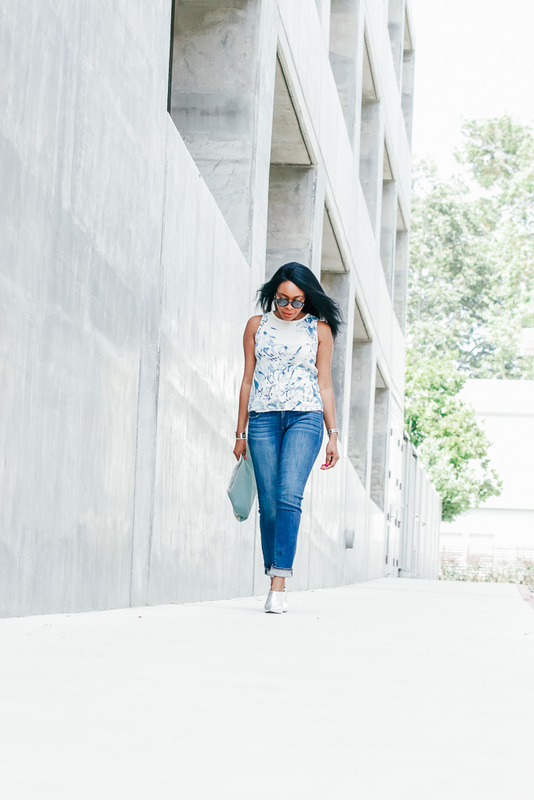 In these looks you see where I cuff the denim as well as wore it all the way straightened out. It's the same outfit but the shoes options gave it two separate feel and vibe. 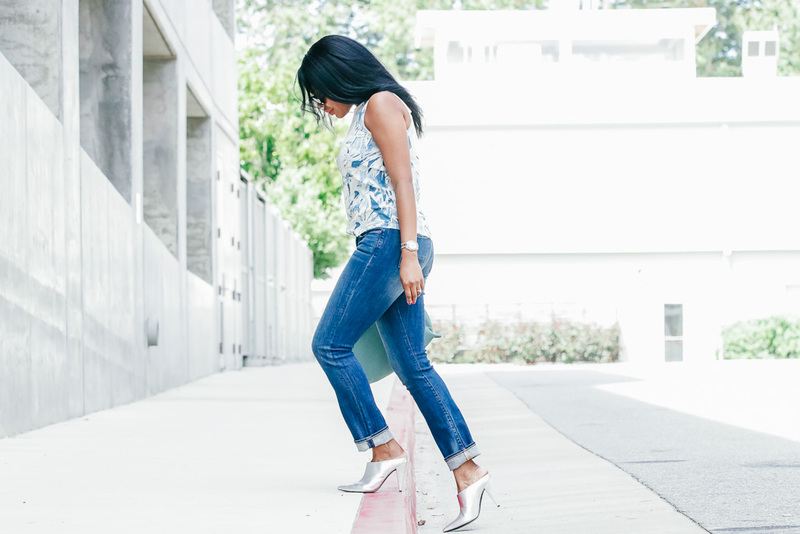 If you play around with styling your straight-leg jeans, you'll see how much fun it is. 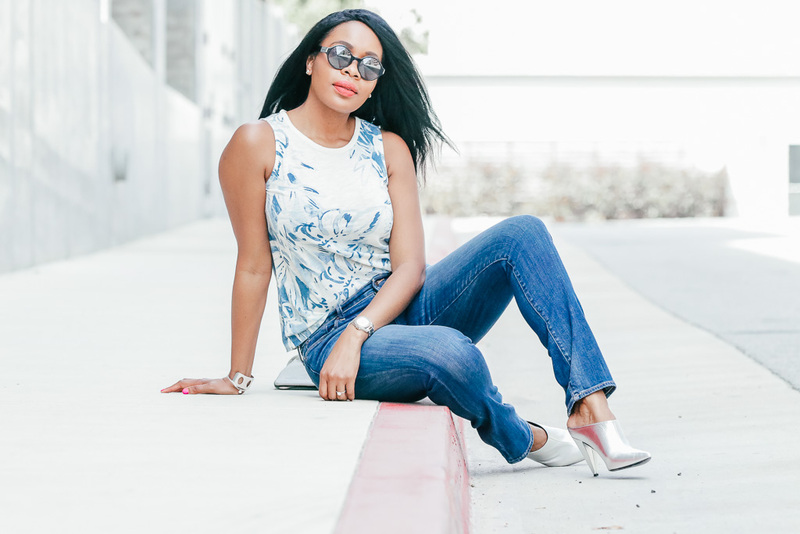 Remember that the next time you need a fab pair of straight-leg denim, try these Lucky Brand ones from Macy's and let me know how you like them and how you styled them.